The arts can be a powerful tool in building and sustaining successful communities. Arts for Hearts’ community-engaged approach to art making fosters collaborative relationships between citizens, artists and volunteers. 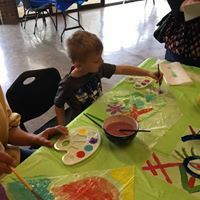 Arts for Hearts artists and volunteers offer many free Community art classes where access to the arts is limited— at the Clarksville Public Library, Clarksville Parks and Recreation Community Centers, Clarksville Montgomery County Downtown Commons and other public spaces. The Kindness Rocks Project invites everyone in the community of all ages to connect through art spreading kindness and smiles one rock at a time. The community paints rocks to share and hide for others to find- little pieces of mother earth that inspire and bring joy. 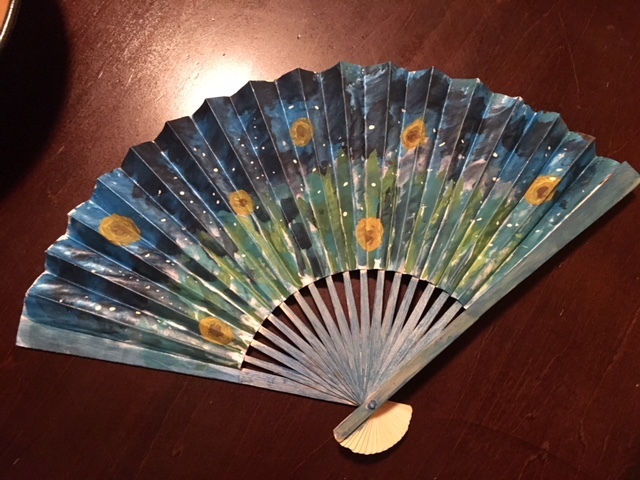 Hello Clarksville-The Neighborhood Postcard Project is an art initiative to encourage playful, spontaneous community connections through simple handmade postcards. The postcards are sent to random mailing addresses, a collection of positive messages and inspiration to build sense of community. The Postcard project was originally introduced by renowned artist Hunter Franks. Franks, an artist and founder of the Neighborhood Postcard Project uses people as his medium to break down barriers and make neighborhoods more neighborly. It’s simple, really. He invites people to come together and they create amateur art to encourage connections among people in communities. Creativity and innovation are important elements in the growth and success of any company. The Corporate Arts for Hearts Program offers workshop, retreat or pop-up studio events on site or off site. Our art-based workshops help your employees develop their creativity and think outside the box— and are great for health and wellness. A happy employee is always a good one! Some of the most innovative companies like Google, Facebook, and Apple all give their employees plenty of opportunities to work creatively. To learn more about Arts for Hearts call (931)237-7647 or email artsforheartsclarksville@gmail.com. Arts for Hearts is made possible in part by generous funding from Kara Dioguardi, American Grammy & Emmy nominated singer-songwriter, record producer and music publisher. The Arts for Hearts Founding Committee: Rita Arancibia, Patricia Arancibia Wilkinson, Peggy Bonnington, Ellen Kanervo, Barb Kane, Ann Waddle, Dorothy Hartzog, Kim Balevre and Brenda Fauth. The Clarksville First Presbyterian Church provided generous in-kind start up support. Crow Community Center students making kite art for Kites across Clarksville Exhibit. LEAP Youth with Artist Steven Walker creating kite art for exhibit.